Celebrate Jamaica’s Independence with Mayor Messam, Dr Sue, Willie Stewart and Friends. Pick up a copy of Success Strategies of Caribbean American Leaders and Learn Why Some Succeed While Others Don’t. If you think travel is dangerous, try routine. What Have I Done? This is Crazy! New job offer. Relocation. Tons of change. Excitement in the midst of fear. But it comes with the territory. Getting up and going to another land…faraway. Giving up the familiar is no Snack. It is scary… but when we do it, we learn new things about ourselves and about others. Have you ever watched HGTV’s House Hunters International? Well if you have, you would know that those who take on moving from one country to the next have brave hearts. They give up jobs, family, friends, and often wish they could take their home culture with them. Often they must give up a lot. China! New Zealand! Paris! Japan! The Caribbean! and more for those fascinating new ventures! We often say we want a change yet we want to hold onto the familiar. It’s normal. In my early career managing international HR, I had the task of sending executives to relocate overseas. It intrigued me so much that I studied Cross Cultural Management. It was often a challenge for those who took the step. But those who embraced the host culture survived beyond the honeymoon stage. They became acclimated to the new culture filled with its languages, people, food, and new experiences. But like anything else, it works if we stick with it. Naturally if you find yourself among those who don’t like the experience after you’ve done it, no problem. At least you can still say “I did it“! Only the adventurous can gleefully say “what have I done? This is crazy!” with a smile and the satisfaction of new learnings, and exposure. Cheers to the new adventurous you! Author Dr. Shelly CPosted on June 30, 2017 Categories personal-development, SuccessTags #everydayinspiration, career, culture, Dailypost, discover, dreams, fear, goals, inspiration, life, personaldevelopment, postaday, vacationLeave a comment on What Have I Done? This is Crazy! 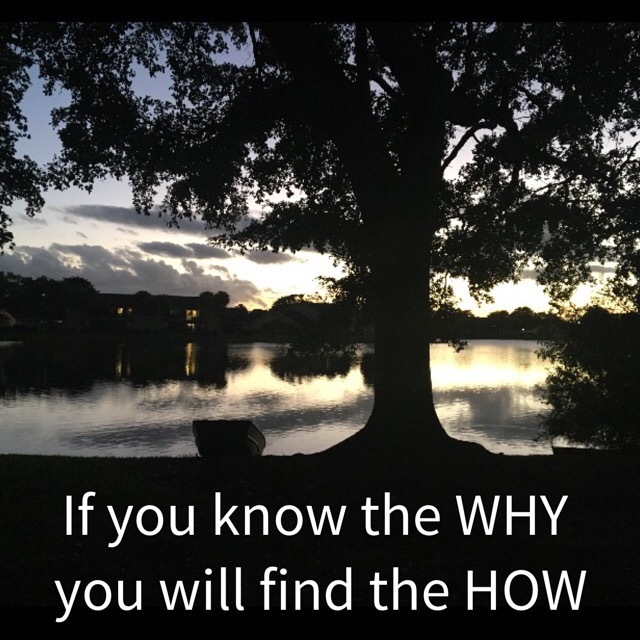 If you know the why, you will find the how. What does that mean? Why do you do what you do? Is it for money? For fame? Love? To make a contribution to society? To leave a legacy? Finding the how is not as difficult as we make it. In this instance HOW means to create a desired result. This means different things to different people. Some believe the how is too hard. They do not have that Culture of discipline to accomplish their goals. On the other hand there are those who have the drive, the will, the passion to forge ahead no matter what comes their way. In the movie Castaway, actor Tom Hanks played the role of being shipwrecked on an island waiting to be rescued. After years of waiting, he remembered his why. He wanted to survive to return to his beloved wife. Her picture kept him going throughout his tragic circumstances. Similarly in the movie Everest, climbers reached the top and were elated but encountered setbacks on descent through severe weather conditions. Their why was to reach the top. Once that was done, in the midst of setbacks all but one froze into non existence because the how was beyond their natural scope. How many of us walk around alive but frozen? We meander doing daily tasks, attending to work needs, family responsibilities, and more but miss the very essence of our ‘why’. As we approach the end of another year, it might be wise to Stop. Take the time to reflect on your ‘why’. Why do you do what you do? What makes you tick? What provides that zeal…that passion to forge ahead when the going gets tough? Only then you will be able understand your how. Today, look back on your journey. Are you still on the right path? Connect the dots and move forward to achieve your dreams, goals and aspirations. So What Does Success Look Like?